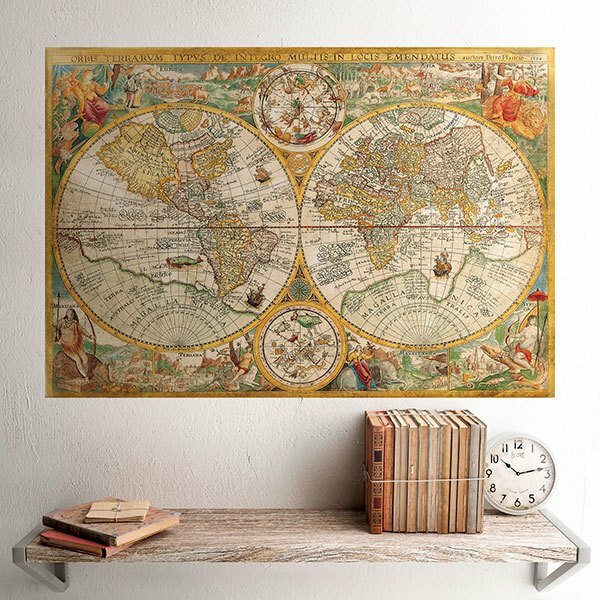 Adhesive vinyl poster World Map 1594. 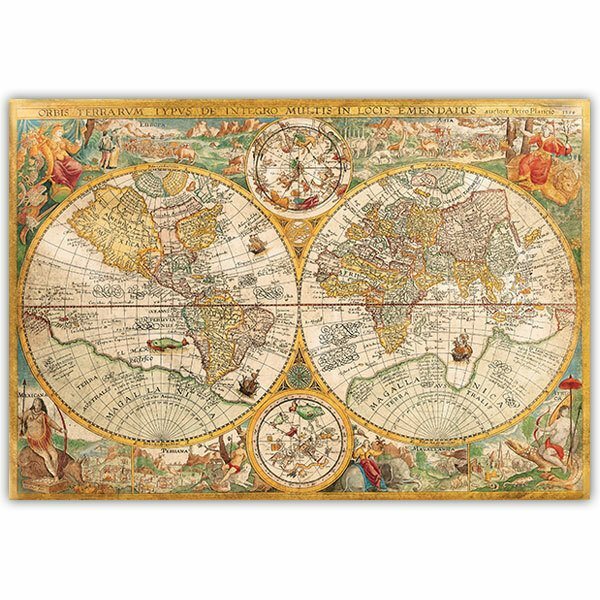 Fascinating old map of the known world until the end of the XVI century, with a careful decoration. 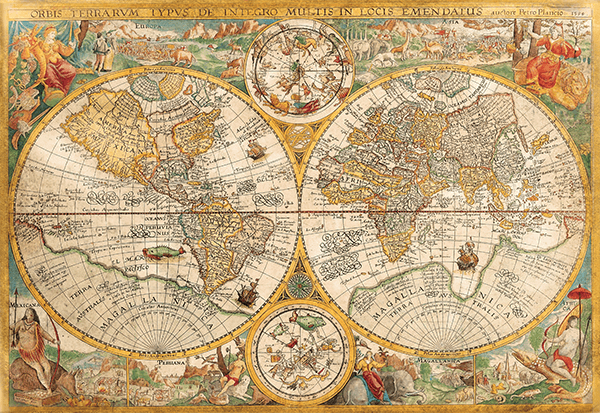 Affectionate, disproportionate design of the planet Earth divided into two hemispheres, surrounded by a multitude of drawings of gods and fantastic creatures. 15.75 x 11.02 in. 19.69 x 13.39 in. 23.62 x 16.14 in. 27.56 x 18.90 in. 31.50 x 21.65 in. 35.43 x 24.41 in. 39.37 x 27.17 in. 43.31 x 29.92 in. 47.24 x 32.68 in. 51.18 x 35.04 in. 55.12 x 37.80 in. 59.06 x 40.55 in.